This 2000 s.f. 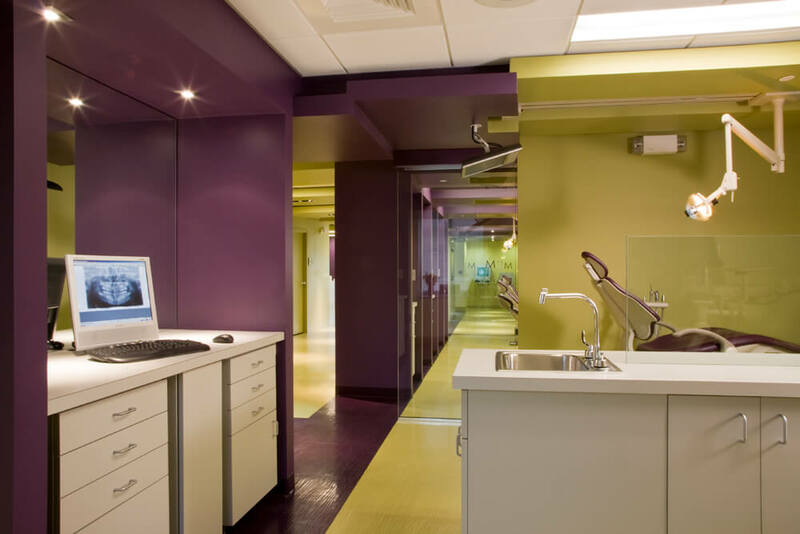 modern pediatric dentistry office in PA was a second practice location for an established dentist. Her original office was located in a rural area and her business plan called for expansion into an adjacent more urban and more affluent community. 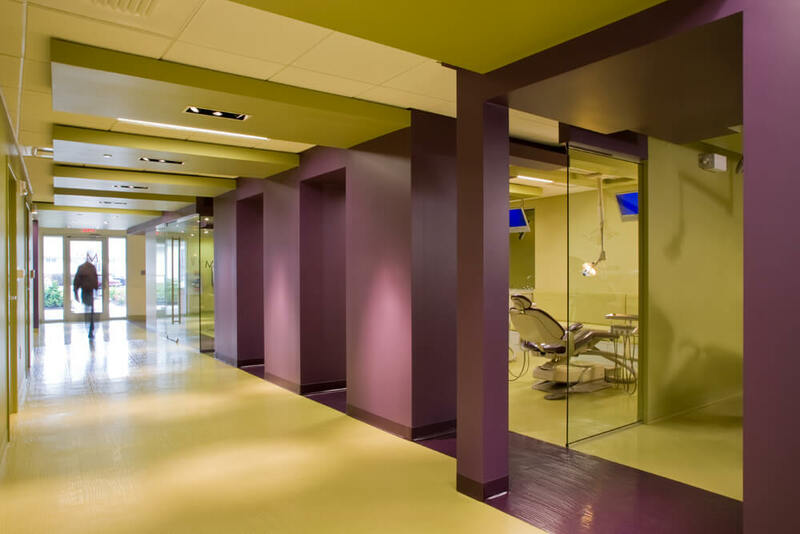 The doctor wanted to build upon her experience with her first office and customize the new location to fit the established workflow and processes. The goal was to create a progressive space that would be interesting to all her patients, both old and new. The long and narrow space is organized into public and private zones flanking a dividing central spine and corridor. 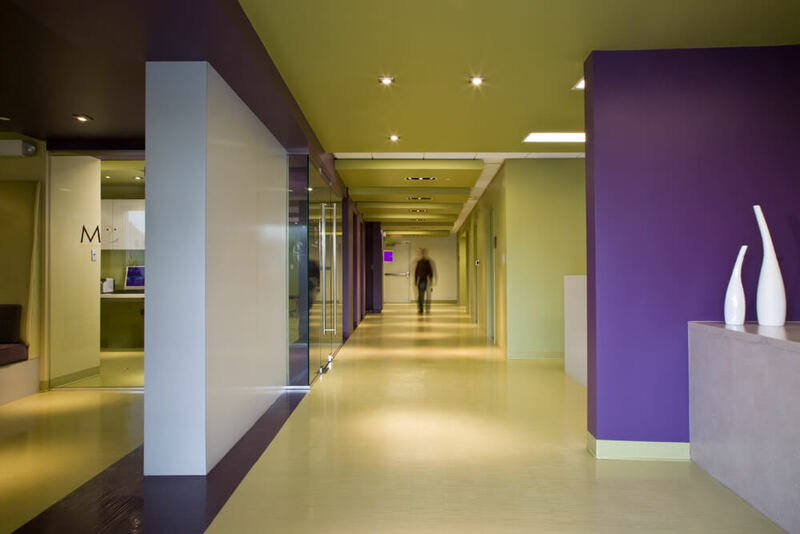 The doctor’s functional goals were to provide efficient flow through the space, to eliminate corridor bottlenecks, provide easy access for staff, accommodate accompanying parents and allow supervision of staff operations, all while thinking outside the “box”. 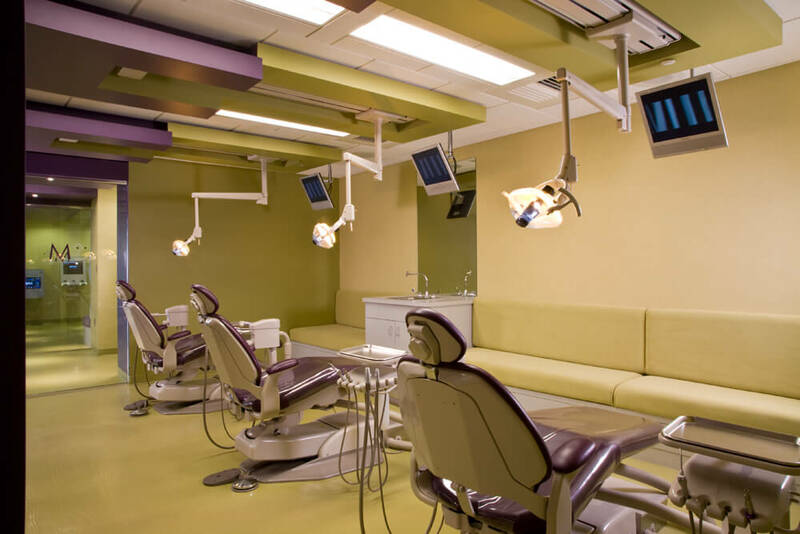 "When it came time for us to design a second location for our Pediatric Dental practice, we knew that we wanted it to be special. FORMA Design executed a sleek, sophisticated and inviting design for our space without compromising on the warmth that we wanted to convey. In many ways, the office design helped us to rebrand and update our image within the community. 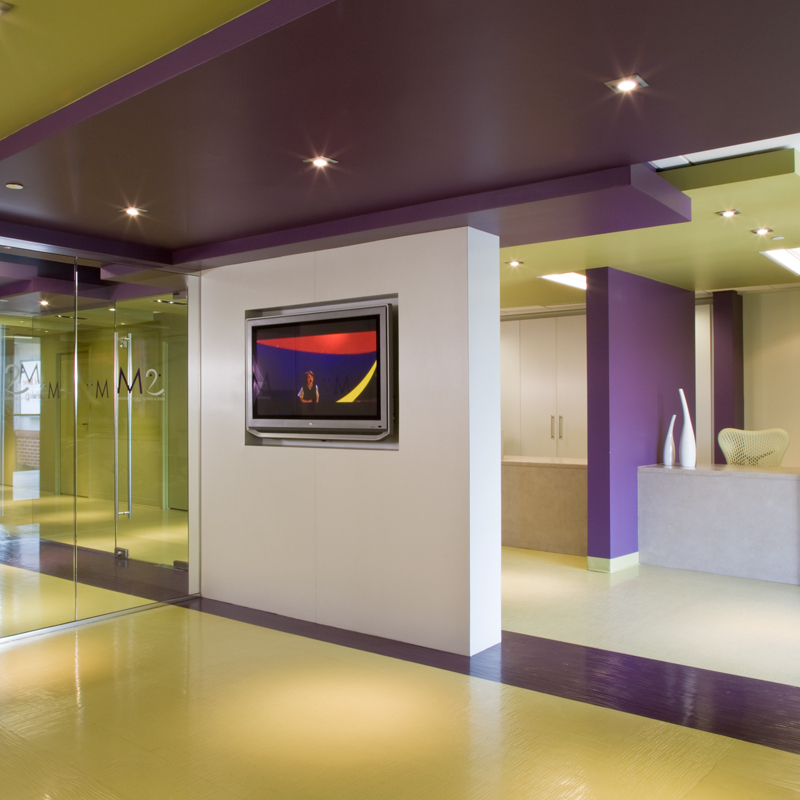 We always promoted ourselves as a boutique dental practice for children with the highest standards for care, and now we had the perfect office to back it up. Our office has been featured in many publications and has been used to host events such as continuing education seminars and professional mixers. Six years later and we still get the "Wow!" exclamations when people enter the office for the first time. The most important thing to us, however, is the way the space makes our patients feel. You know you've hit your mark when children cannot wait to come back for their dental visits!"